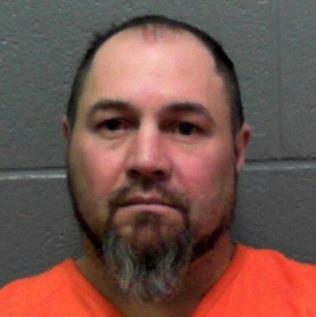 Jason Garcia Cano, of Clarksburg, West Virginia, was sentenced today to 27 months incarceration for a firearm charge, United States Attorney Bill Powell announced. Cano, age 42, pled guilty to one count of “Unlawful Possession of a Firearm” in October 2017. Cano, having been previously convicted of a felony in the 426th District Court in Bell County, Texas, admitted to possessing a .22 caliber revolver in Harrison County in October 2016. Assistant U.S. Attorney Traci M. Cook prosecuted the case on behalf of the government. The Bureau of Alcohol, Tobacco, Firearms and Explosives and the Greater Harrison Drug and Violent Crime Task Force, a HIDTA-funded initiative, investigated. Members of the Bridgeport Police Department are on the Task Force. Chief John Walker is the chairman. Senior U.S. District Judge Irene M. Keeley presided. Editor's Note: Photo from the North Central Regional Jail Web site.